It has long been our policy to support as many home automation and IoT systems as possible, and we often get requests for an affordable simple phone app that doesn't have all the complexity of many of the hub solutions out there. We think that solution has finally arrived in the form of the new RF-IR blaster hub from BroadLink®, and it has quickly become our hub of choice for a number of reasons. 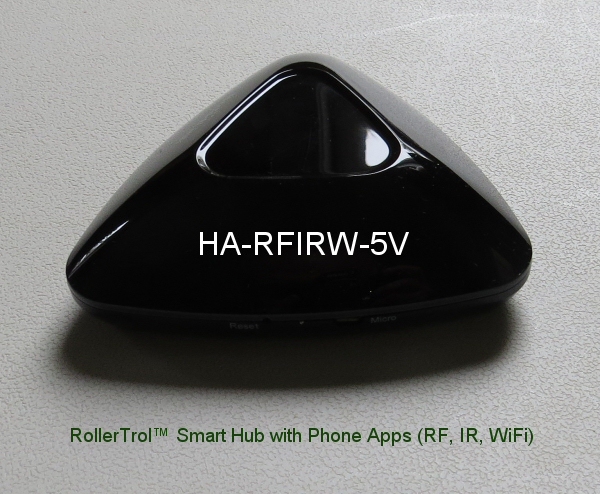 This means it can directly control our radio motors, whether they are our new G series radio motors or the older R series motors, and it has timers too. 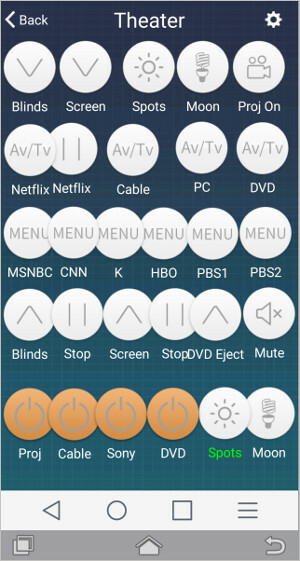 It comes with Android and IOS phone apps for easy control, and it's a great way to put your old phones and tablets to use as powerful home automation controllers. Another great solution is the Home Assistant home automation system. Written in Python 3, it is an excellent system that runs on any platform (including Raspberry Pi) and supports literally hundreds of devices, including our blind motors and skylight/window openers via the BroadLink® plug-in. It is also an excellent IR blaster code learner too, for controlling all your Netflix streaming, TV, sound and other media systems. With the ability to chain events to a single button press, you can very easily set up a sequential process for some application in your home. Ability to expand capabilities with 3rd party software such as Tasker, an excellent Android app, with remote access and capabilities. Please see the next article Activating Your Home Automation Hub for further installation instructions.